Jim and Mary Dierberg are no newcomers to wine. Since 1974, they've owned one of America's oldest wineries, Hermannhof, located in their home state of Missouri. Developing an initial passion for wine during their early trips to Germany during the 1960s, the couple discovered that an old winery in Hermann, Missouri--founded in 1852--was for sale, and they bought it. 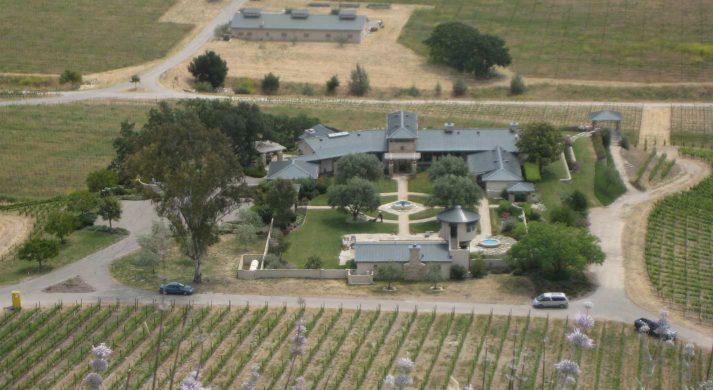 Starting with 100 acres in 1996, they later bought a cooler vineyard site better suited to Pinot Noir and Chardonnay, a bit farther north in Santa Maria. In January of 2004 they added a new property in the Santa Rita Hills, also suitable for Pinot Noir and Chardonnay, and called these two vineyards, fittingly, Dierberg. Practicing organic viticulture, the winemaking couple are constructing their dream winery on the Star Lane property. It's dug into the hillside for efficient use of energy and will host some 26,000 square feet of caves for barrel aging.